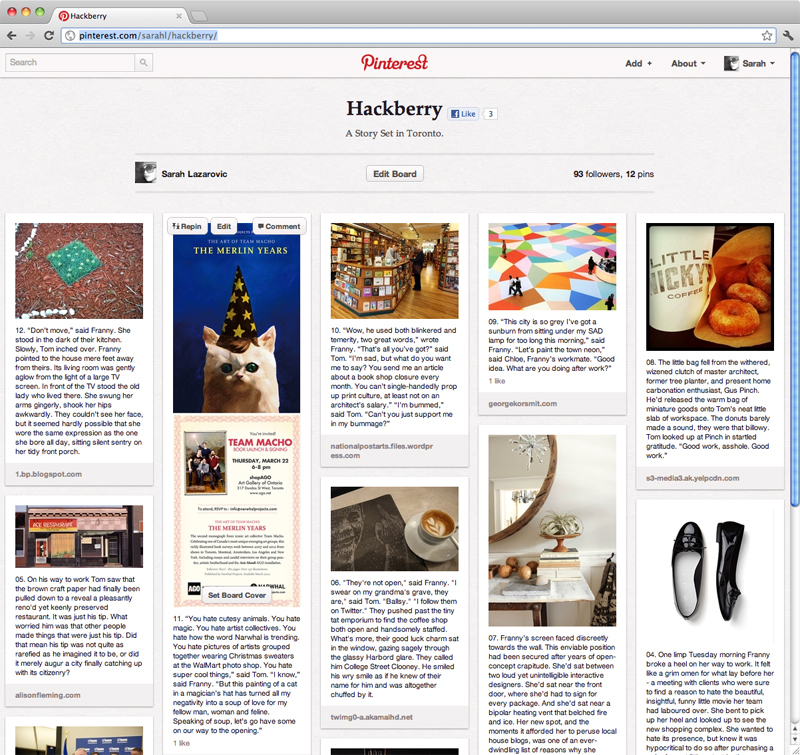 Tired of the stuff parade that is Pinterest, I decided to hack it with creative writing. 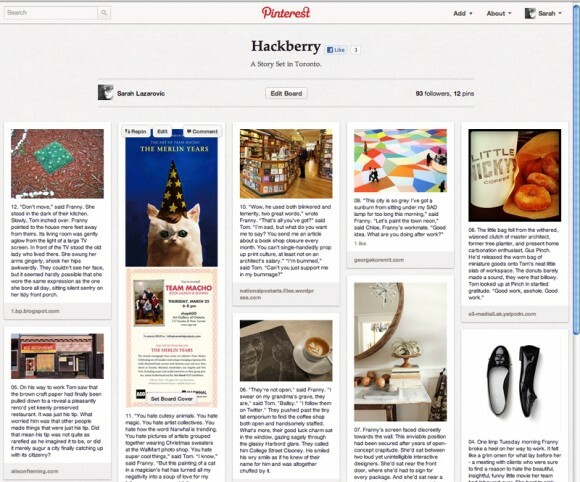 Hackberry is an ongoing story about two consumers in Toronto. You are what you buy.